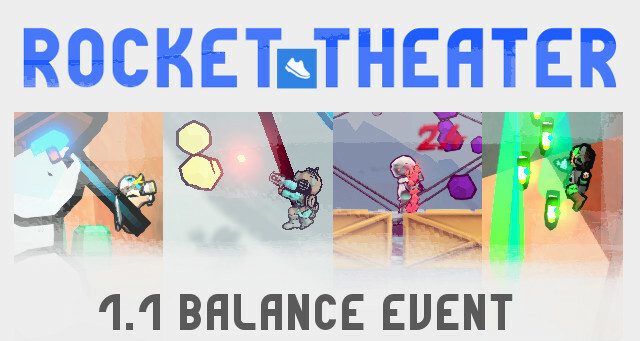 Welcome to the Rocket Theater 1.1 Balance Event! With new maps, new characters, new graphics and plenty of new tricks to preform, this is the biggest update for Rocket Theater yet! But why is it called the Balance Event you ask? Well, to balance out the characters of course. Seeing as each character has a wildly different set of abilities, us developers need insight from the players to see how the characters hold up in both low and high level play. We would also like to see if any surprises emerge when the characters are put under a fresh set of eyes. 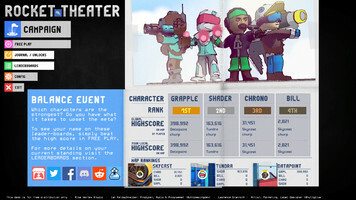 To aid in this we added a pocket leader-board that sits on the main menu, so you can, at a glance, see which character has the highest score and who was the player that achieved it. Bill and Chrono have been refreshed to look more refined as well as two new characters, Shader and Grapple. A new FX stack. Each map now has its own color correction settings as well as better bloom rendering. 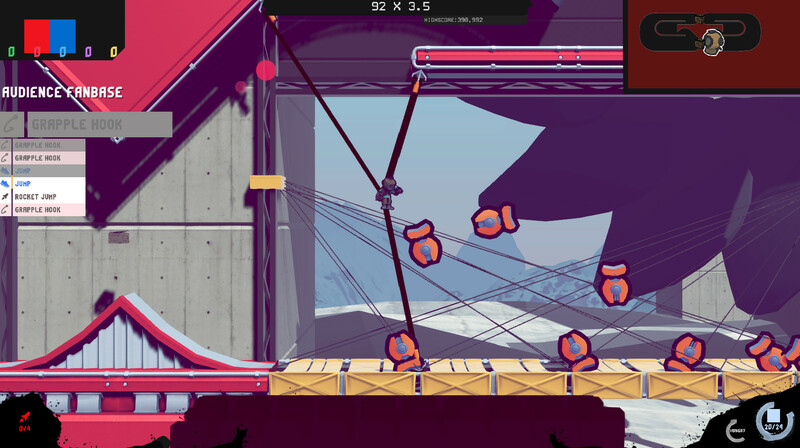 Additionally, important characters and objects now have outlines as well as the explosions. New Map! Datapoint. This map was made to stress test characters in small locations. The map has a small layout with only two ammo packs. Unlike the other maps on Datapoint, playing as Bill is more challenging than the other characters. Shader is a fast paced character who relies on cloning them-self to reset a constantly counting down timer. 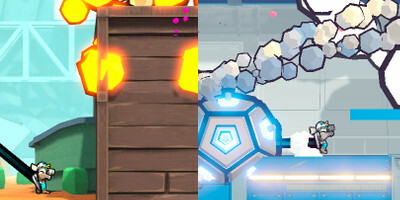 Gameplay focuses around spawning tons of clones and then shooting them with rockets to release energy, which you use to make even more clones. This character was in the previous build in a very basic form, now it has a new model, new fx and is fleshed out for better gameplay. 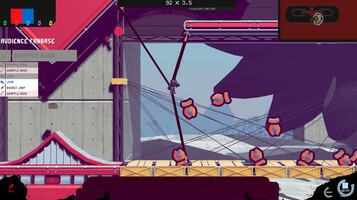 Grapple is a slower paced character where you need to eat fish to survive. 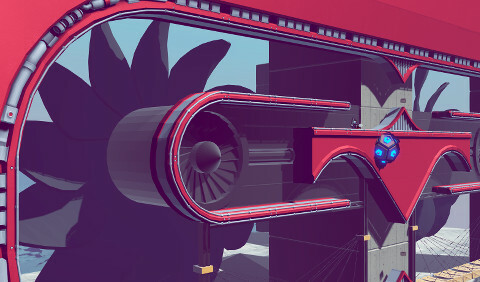 You only get 4 "rockets" for ammo so most of your movement will be based around good use of your grapple hooks.